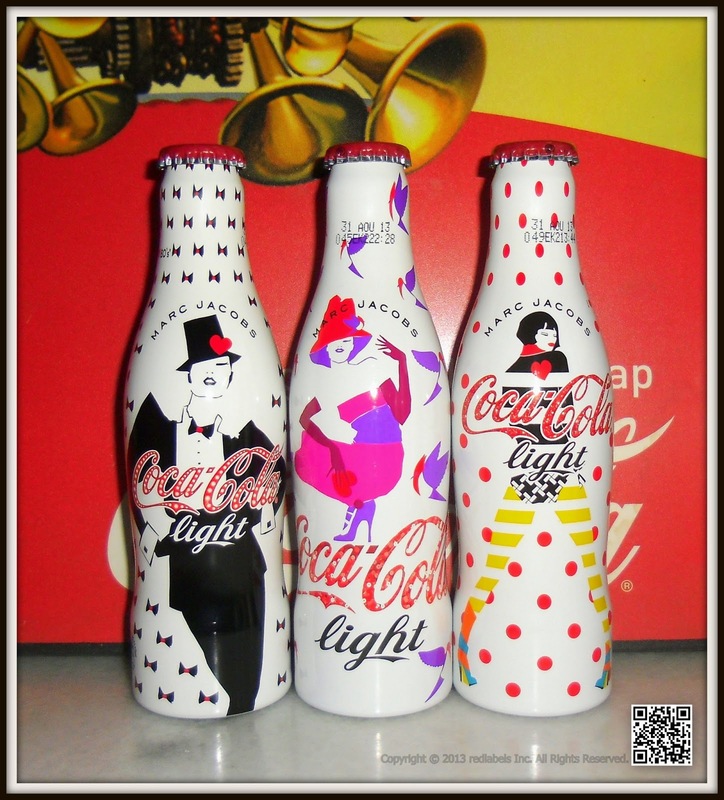 "I '00s"Is a small illustration of the first decade of the 21st century that showcases the humor, sensuality and energy. 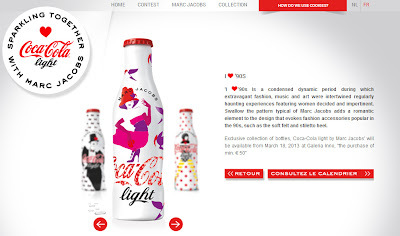 Suggestive figure is directly inspired by the spring-summer 2013 Marc Jacobs. 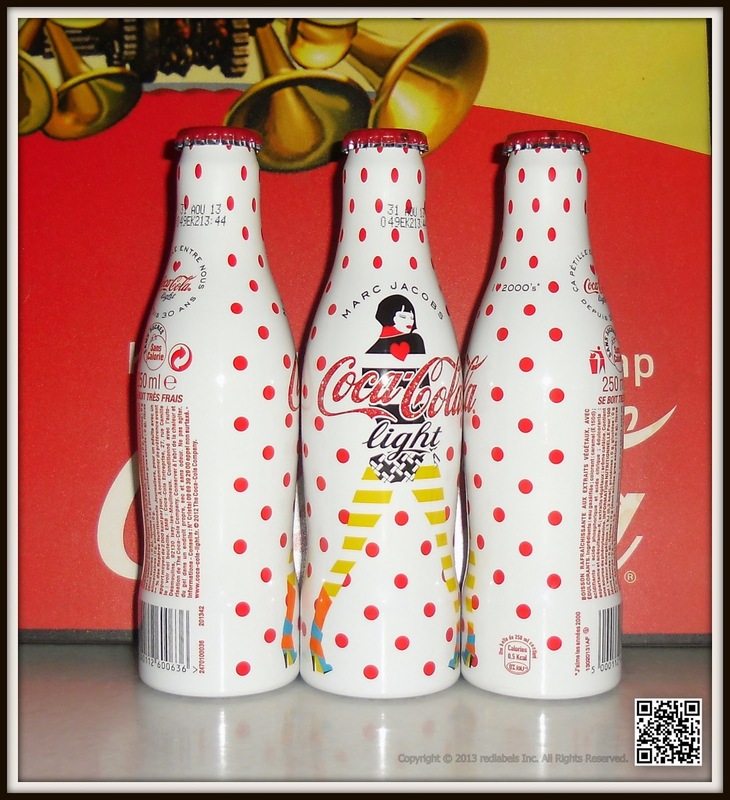 Design shows the pattern of red dots, the characteristic element of his early collections. Stripes and geometric shapes give life for their exuberant youth of this period, like the many sources of inspiration that gave birth to vision of fashion that had never been as varied far. One of this generation's hottest and most influential designers,Marc Jacobs’ designs exude a youthful spirit, with provocative artistry - the perfect partner to collaborate with Diet Coke.With this exciting appointment, Diet Coke will buildon its impressive heritage of fashion collaborations. 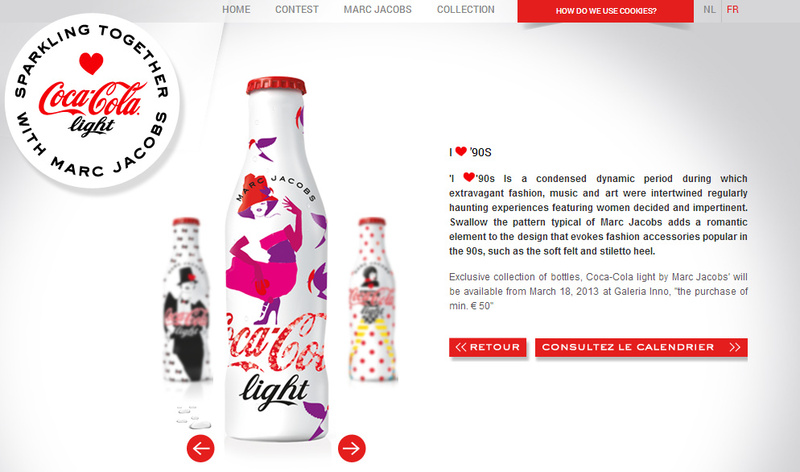 Diet Coke has plenty of reasons to celebrate – not only is the brand 30 this year, Marc Jacobs is also partnering with us as Diet Coke’s creative director for 2013. 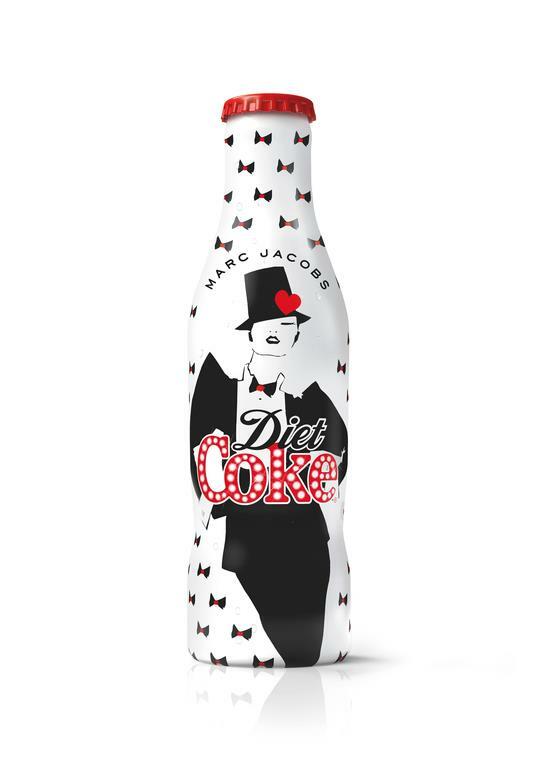 Marc Jacobs is one of this generation’s most influential fashion designers – and he’s brought his unique vision to the Diet Coke brand by creating a limited edition collection of gorgeous cans and bottles which launch this spring. 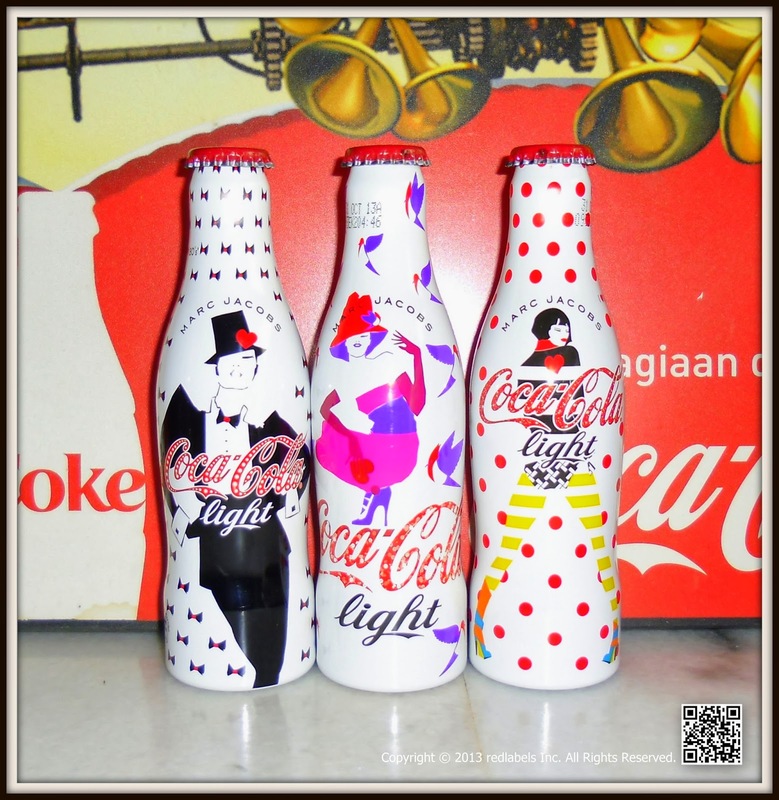 The trio of designs capture the fashions of the eighties, nineties and noughties. 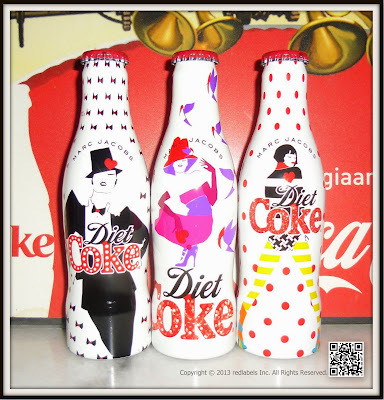 Pick the one that suits your style, or collect all three! The cans are available nationwide from 25th February, 2013. 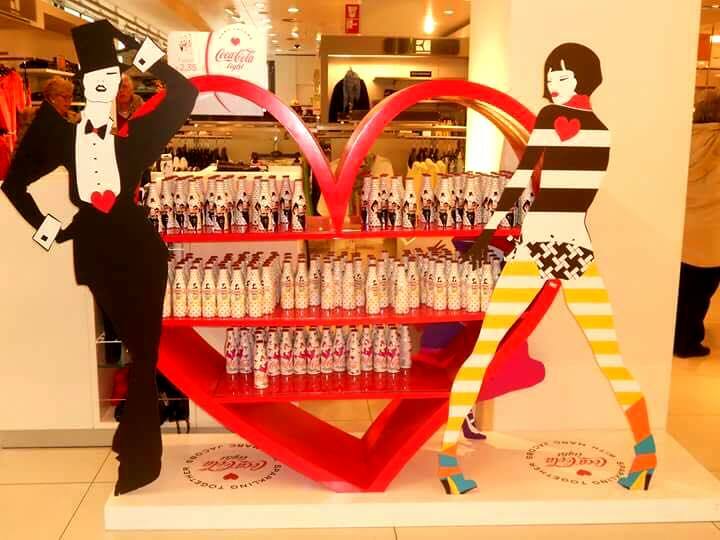 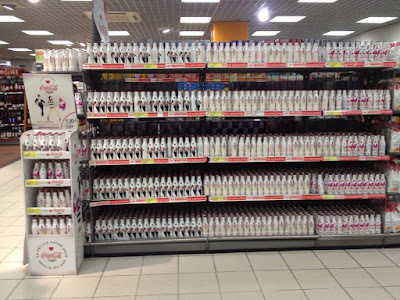 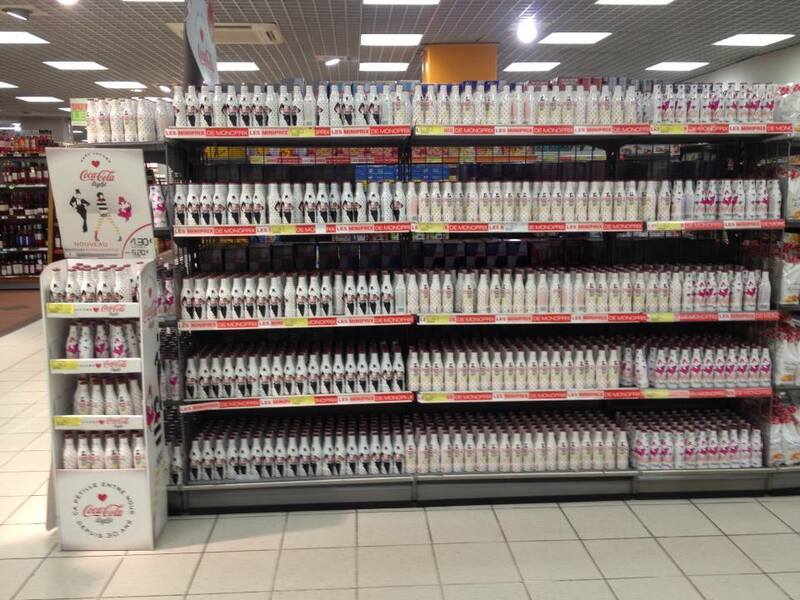 The bottles are available at Selfridges from 12th March, 2013 and at M&S stores from April 12th while stocks last. So said Marc Jacobs, whose turn as Diet Coke’s new creative director for 2013 will have him stripping in a photo booth and posing in playful, pin-up-style ads. 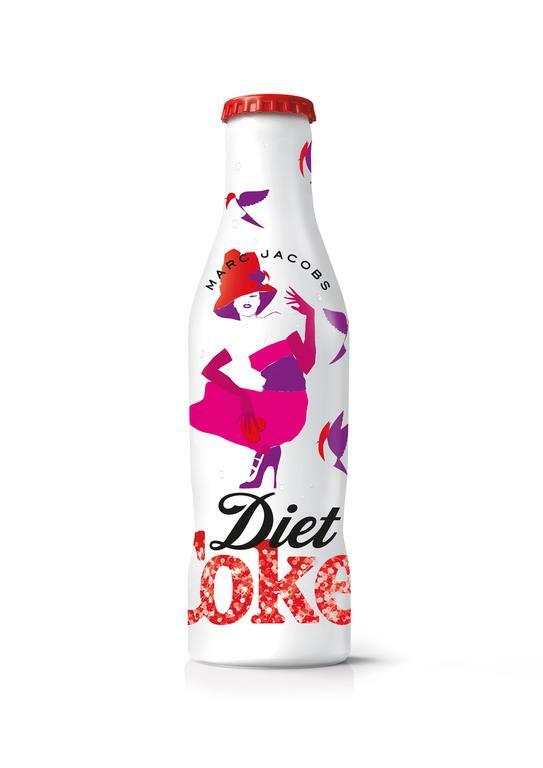 Revealing the collaboration exclusively to WWD, Jacobs said he designed “whimsical, feminine” packaging for the soft-drink giant as it celebrates its 30th anniversary in Europe. 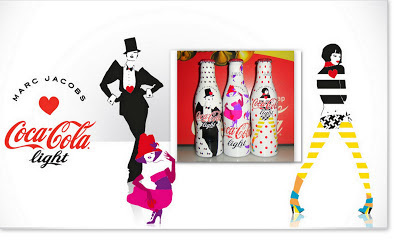 The creations, to be unveiled later this month, reference iconic looks and female empowerment from the Eighties, Nineties and Aughts, along with signature Jacobs motifs. 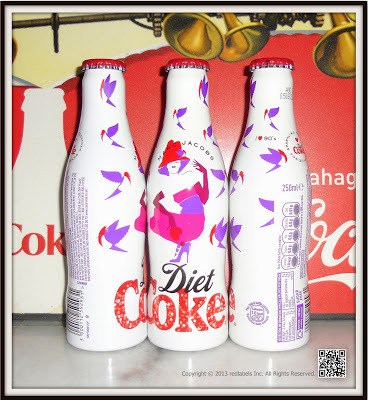 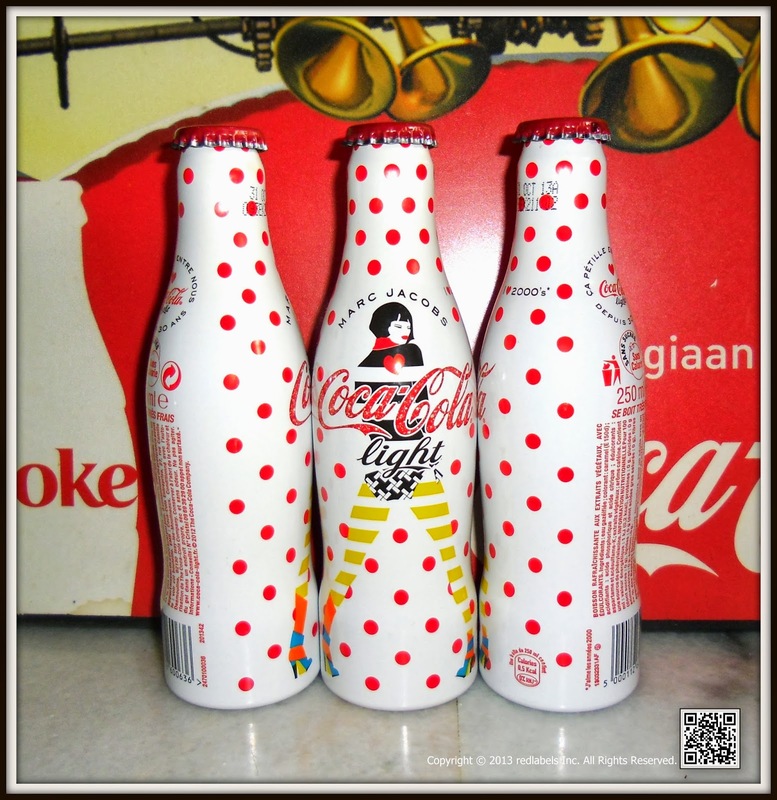 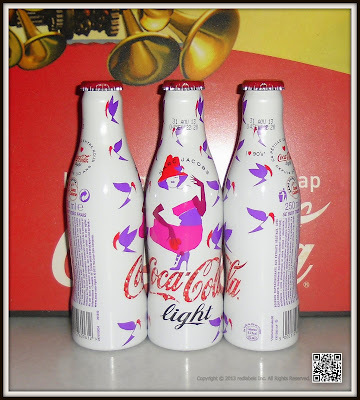 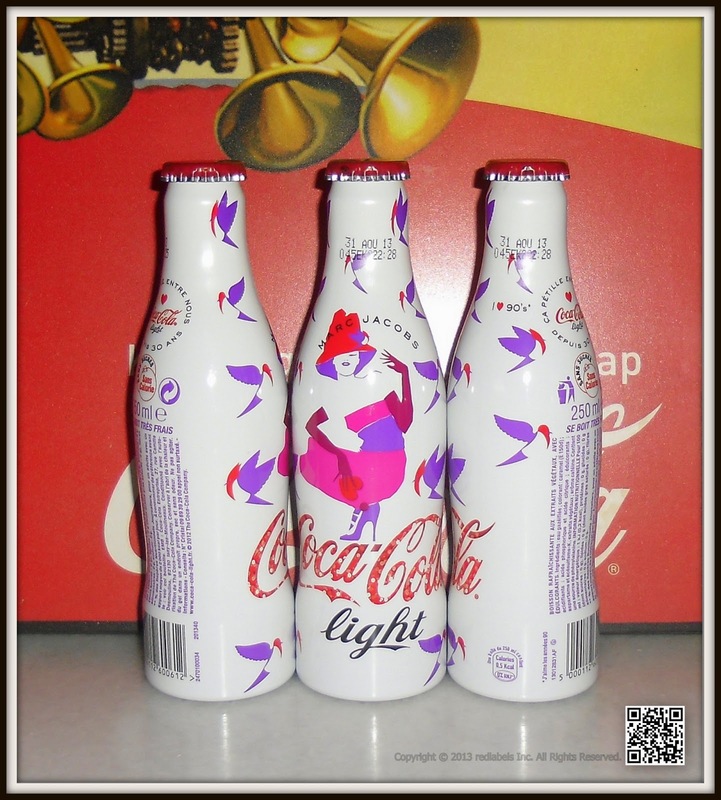 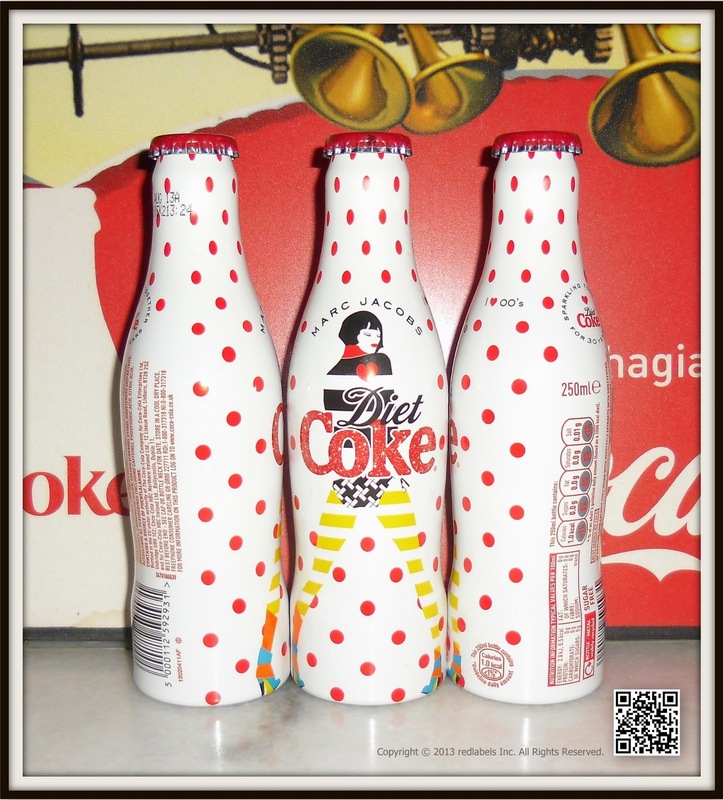 He hinted they would incorporate fashion illustrations and repetitive prints, and confessed that he also tinkered with the Diet Coke logo. 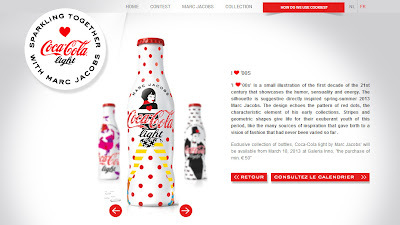 “We wanted it to be colorful and fun,” the designer said. Stéphane Sednaoui shot the campaigns — destined for print, outdoor and digital from mid-March — and Jacobs said he was excited to work with the photographer, having first met him at a PJ Harvey concert and long been a fan of his music videos for artists including Red Hot Chili Peppers. 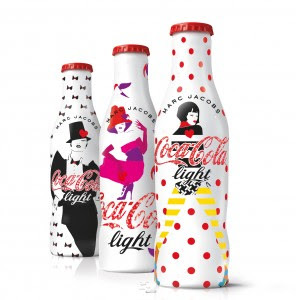 Jacobs appears alongside Latvian model Ginta Lapina in the spots, which involve large pop bottles. “They’re quite cartoony,” Jacobs said. 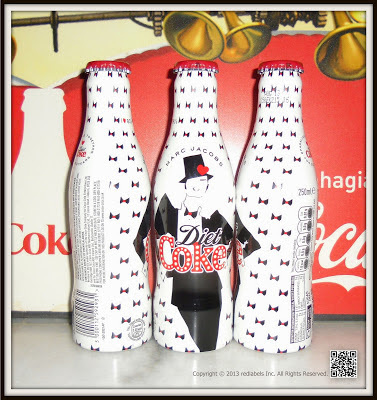 A short film winks to Diet Coke’s popular “hunk” ads from the Nineties, recently reprised with a new commercial featuring a gardener who doffs his soda-drenched shirt and wrings it out. 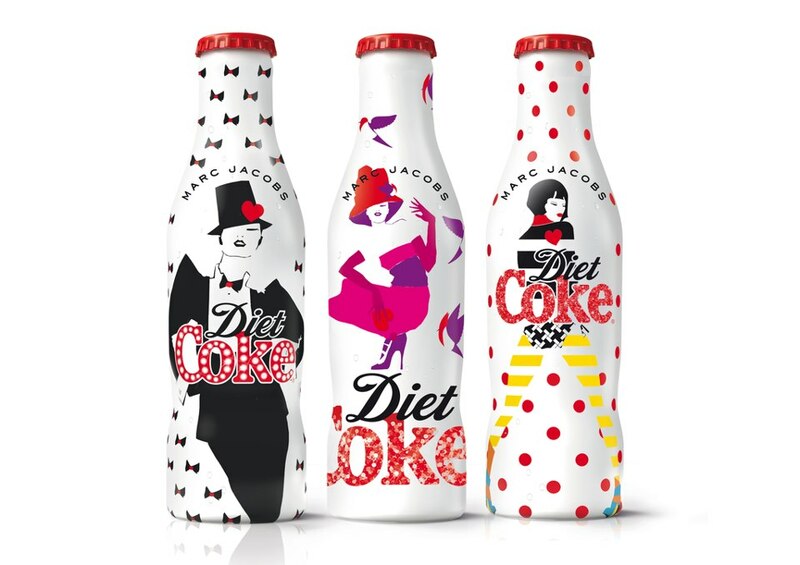 The film will make its debut on YouTube and Diet Coke’s Facebook page. Famous for his rippling, tattoo-covered physique, Jacobs is depicted in the film causing a commotion in a photo booth, inviting three women to join him and share his Diet Coke moment. 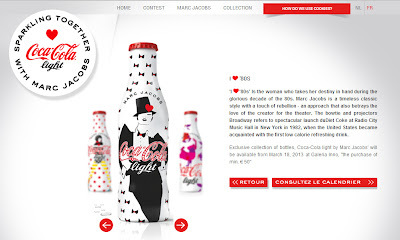 With this new project, Jacobs joins an illustrious group: Karl Lagerfeld was Diet Coke’s creative director in 2011, with madcap couturier Jean Paul Gaultier doing the honors in 2012. “I have this thing about icons and legends,” the American designer said, listing Coca-Cola, Mickey Mouse and Louis Vuitton among them. 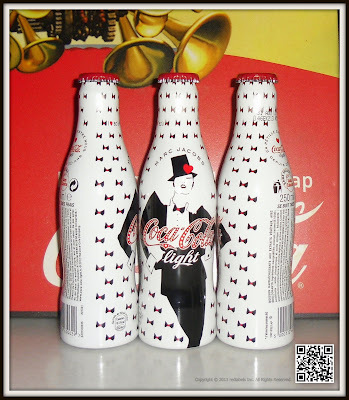 Jacobs is a longtime consumer of Diet Coke. 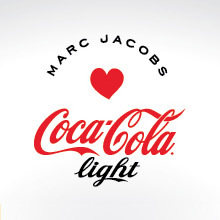 In crunch time ahead of his signature show in New York on Monday, and his Vuitton show in Paris on March 6, Jacobs said he’s “pretty good about” keeping his soda intake to two or three a day. “Everything in moderation,” he teased. Additional details of the “Sparkling Together for 30 Years” initiative are to be unveiled at a launch event in London on March 11, with Jacobs expected to attend. 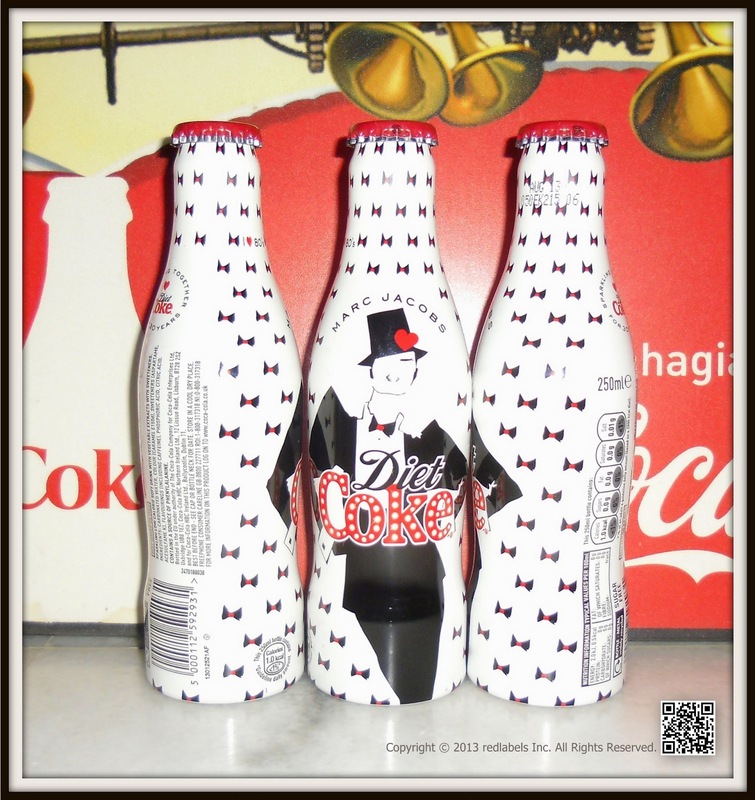 Introduced on the continent in 1983, Diet Coke has since been consumed by more than 2.7 billion people in Europe. 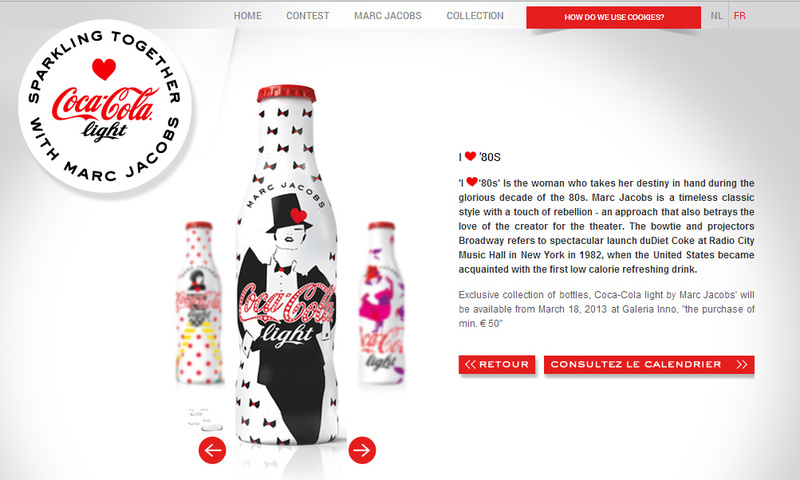 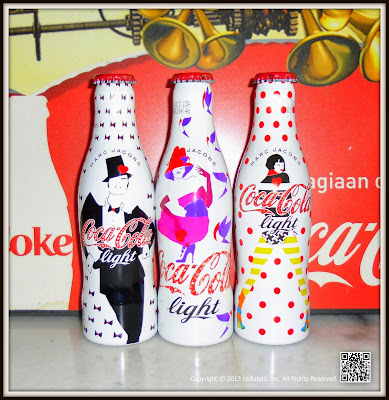 The curtain drops to reveal Marc Jacobs and his three Diet Coke bottles! 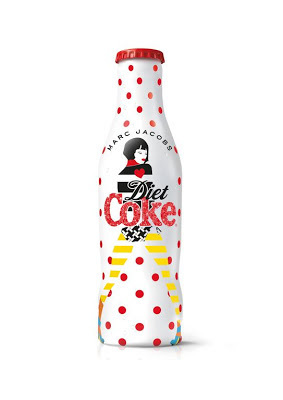 It’s the 30th anniversary of Diet Coke in Europe this year and on Monday this week we held an event to celebrate our partnership with designer Marc Jacobs as creative director. 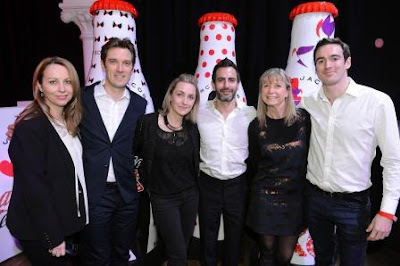 Despite the freezing weather, people travelled from across Europe to London to see the first reveal of the limited edition bottles and to hear Marc discuss his inspiration for the campaign. 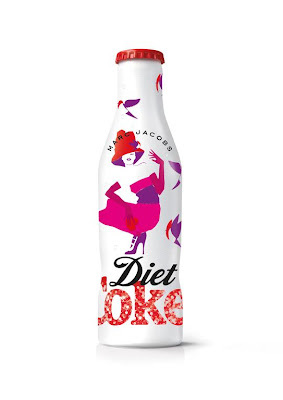 After months of planning, it’s an exciting moment for the Diet Coke team! 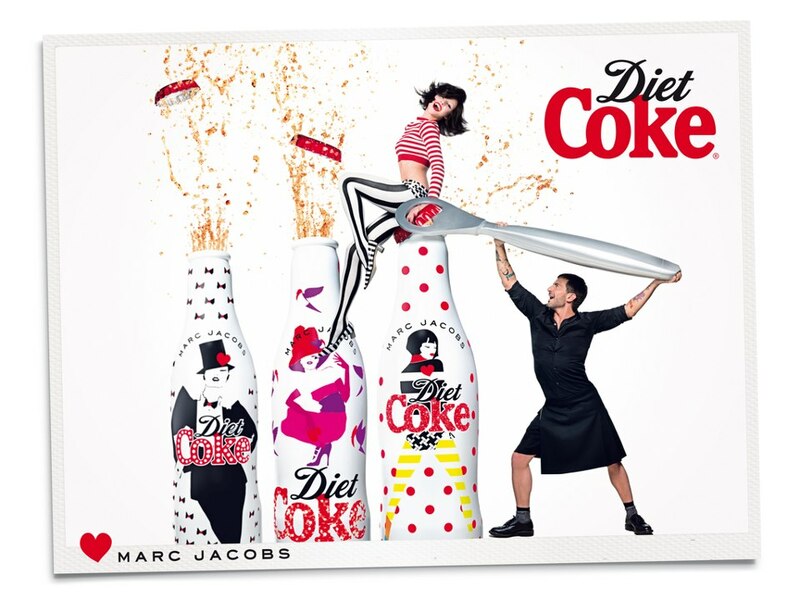 The Diet Coke team with Marc Jacobs at the launch party. 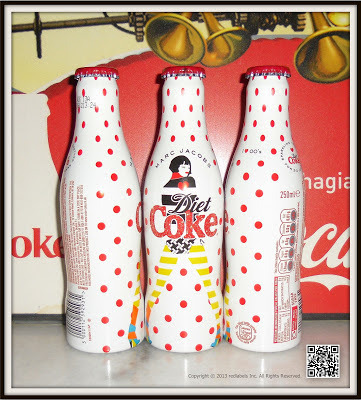 We started the event by showing a film that Marc stars in for Diet Coke. In the film, three women were invited to join him on a fashion journey through the 80’s, 90’s and 00’s – the three decades since the launch of Diet Coke. After a brief pause all eyes focused on the stage and after an exciting teaser video the curtain dropped to reveal three giant versions of the bottles Marc had created for us – each inspired by a different decade – alongside the designer himself. The Marc Jacobs bottles, inspired by the 80’s, 90’s and 00’s. 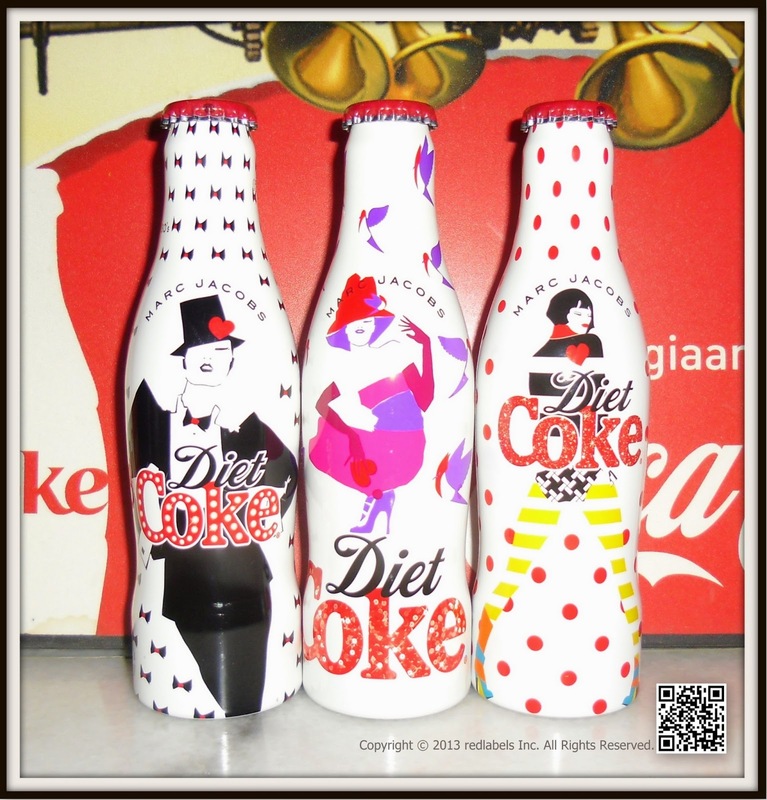 After a Q&A session with Marc, where he discussed his inspiration for the designs, his views on different trends and his love of Diet Coke, we had a quick look online and saw already the first mentions appearing – it’s a great feeling to see positive feedback from Diet Coke fans. 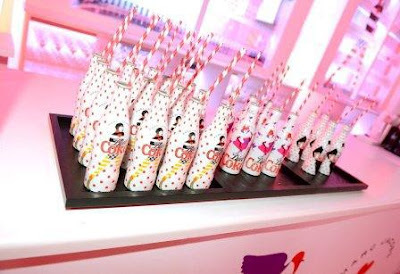 At that point we switched off the laptop and enjoyed the rest of the evening – a night of food, drinks and entertainment inspired by the 80’s, 90’s and 00’s! 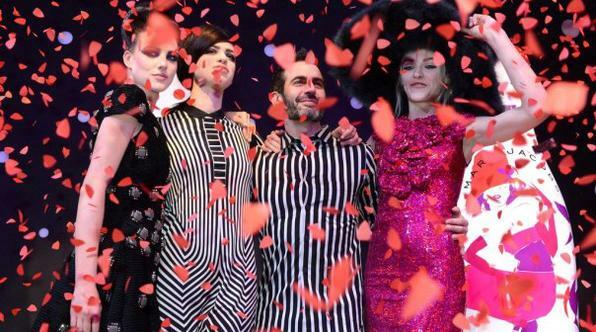 See below for a video capturing the night's excitement.